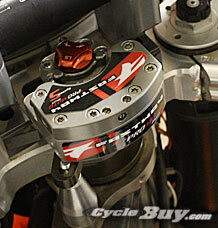 Fastway Steering Stabilizer Kit - the most adjustable steering stabilizers on the market. With 5 separate adjustments on the System 5 and 3 separate adjustments on the System 3, you can fine tune them specifically to meet your individual needs. 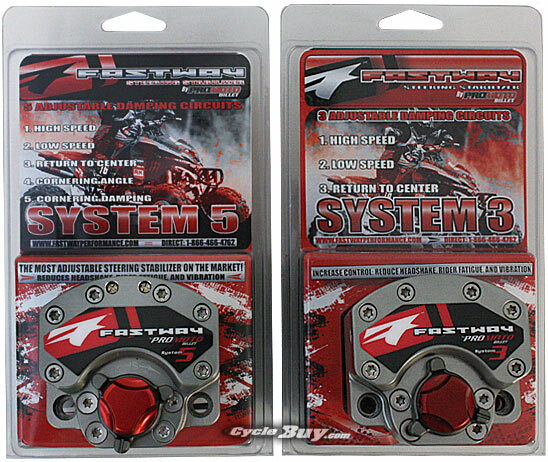 The System 5 and System 3 Stabilizer both offer separate High and Low Speed damping circuits as well as a separate return to center adjustment. 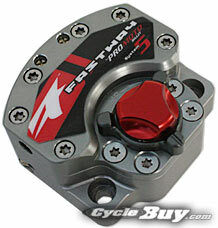 The System 5 even allows you to adjust your left and right cornering angle and damping. 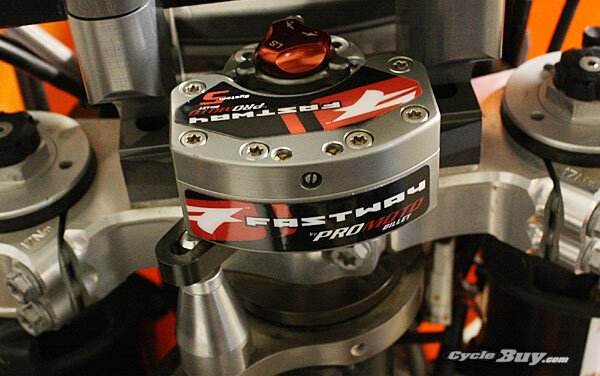 So no matter where you ride, you can set your preference and let the stabilizer go to work! 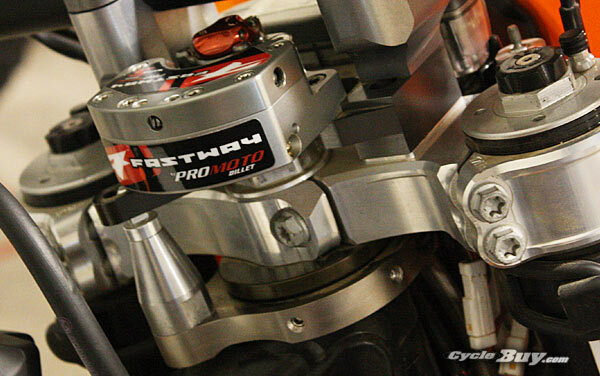 A key feature of the Fastway Steering Stabilizer is that you can have the high speed adjustment set to maximum resistance while simultaneously having the low speed adjustment set to minimum resistance. 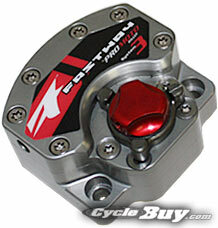 This allows you to ride with absolutely zero resistance until under extreme impact or force. High Speed - Optimal resistance only during high force impacts, while allowing no resistance during normal riding conditions. 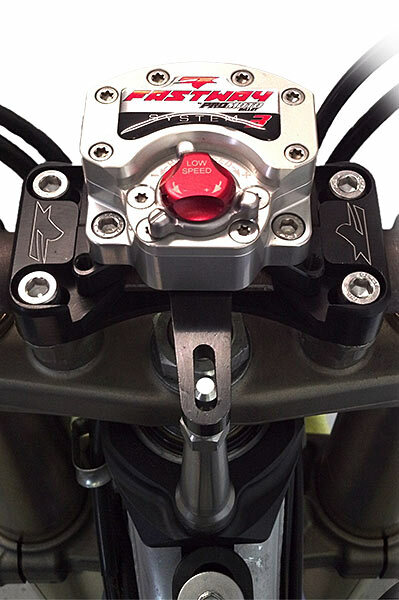 Low Speed - Allows you to dial in the overall steering resistance under any riding condition. This adjustment can be turned to an off position where you will have no resistance. 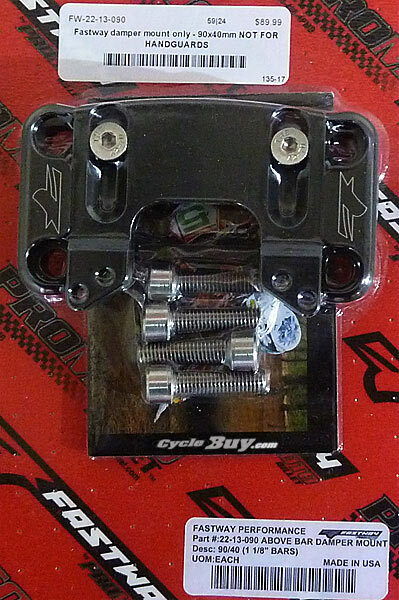 Return to Center - Allows you to fine tune the resistance of your handlebars from left lock position and right lock position back to the center position. Turning Angle [System 5 only] - Left and right dis-engagement angles to allow adjustable resistance while turning. Turning Angle Damping [System 5 only] - Adjusts the amount of resistance in the dis-engaged portion of the turning angle.